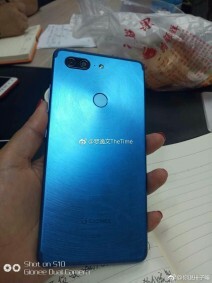 Gionee is currently getting ready to unveil its next smartphone. 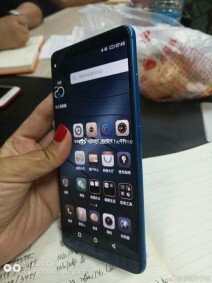 The M7 will become official on September 25, and a press render showing it has leaked earlier today. But how about some hands-on live images? You ask, Chinese Weibo users deliver. The following shots have been leaked mere hours after the aforementioned press render, and they show the same blue color version. As you can see, the front of the phone is near bezel-less, following the biggest design trend of 2017, while on the back there's a dual camera setup - which has to be the second biggest trend of the year in the mobile world. 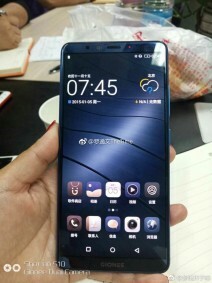 The Gionee M7 has a metal unibody construction, a fingerprint sensor on the rear, and software-rendered Android navigation buttons. It's expected to sport a 6-inch 1,080x2,160 touchscreen, 6GB of RAM, 64GB of storage, the MediaTek Helio P30 SoC, and Android 7.1.1 Nougat on board. LG G6 Rip off everywhere!